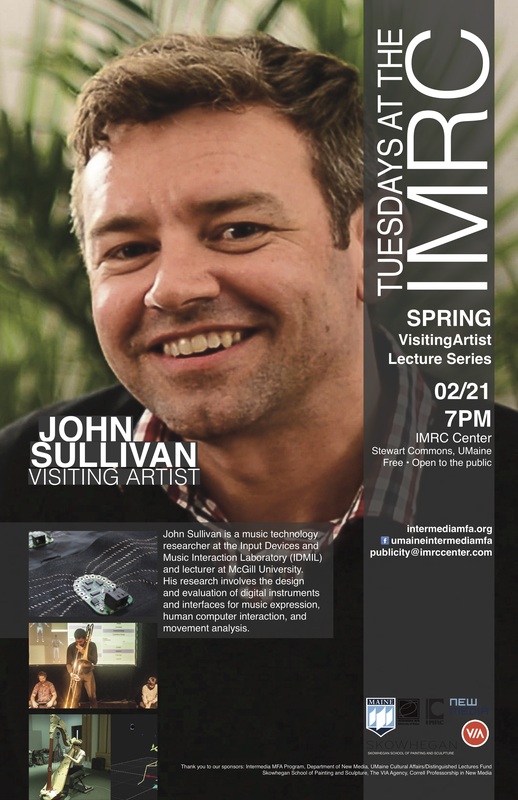 Orono ­­— On Tuesday, February 21st at 7p.m., artist and researcher John Sullivan will present his research as a part of Tuesdays at the IMRC, the UMaine Intermedia MFA program’s visiting artist lecture series. John Sullivan is a music technology researcher at the Input Devices and Music Interaction Laboratory (IDMIL) and course lecturer at McGill University. 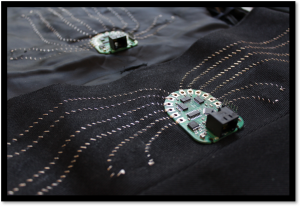 His research involves the design and evaluation of new digital instruments and interfaces for musical expression, human computer interaction, haptics, and movement analysis. Artistically, John comes from a background in music performance and multimedia design. His creative works have included several albums of recorded music, international touring with various bands, and exhibitions of audiovisual installations. Currently he is working on his Ph.D. in musical interface design, conducting research on design methodologies and evaluation of new instruments for popular music performance. To learn more about John, please visit www.idmil.org/people/john_sullivan. 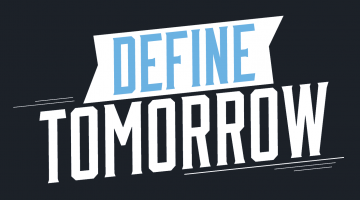 All presentations take place at the IMRC Center at the University of Maine, at 7pm, and are free and open to the public. For a complete schedule of lectures, please visit: www.intermediamfa.org/lectures2017.